Former Leicester City and England striker Tony Cottee caught up with LCFC TV recently to discuss the Club’s remarkable Three Lions representation. Over the calendar year of 2018, the Foxes had five players – Harry Maguire, Jamie Vardy, Ben Chilwell, James Maddison and Demarai Gray – called up to Gareth Southgate’s senior side. This week's call-ups for Maguire and Chilwell, the inclusions of Maddison, Gray, Harvey Barnes and Hamza Choudhury in the U21s squad, as well as Luke Thomas' U18s selection, puts City's English tally at seven. As England’s seniors prepare for the inaugural UEFA Nations League finals in Portugal, the U21s go into the summer’s European Championships aspiring to add to England's recent youth-level trophy haul. With such a healthy City representation at the heart of an encouraging period of success for English teams, Cottee, 53, says the Club deserves credit for its continued commitment to youth development. In a clip from Tony Cottee's interview with LCFC TV, the former City striker discusses Ben Chilwell's England form. “You can’t underestimate what it does to the Club,” the former City striker, who scored 27 goals for the Club, told LCFC TV at King Power Stadium. “I always think that there should be room for local talent, for English talent to perform on the Premier League stage. Leicester give these guys the chance, the platform, to play in the Premier League. “Because of what they’re doing for Leicester, they’re now being given the opportunity to do that for England and the Club deserves great credit. “There’s many other clubs out there that are choosing players from all around the world, which is great and that’s their choice. “The fact that Leicester have had five players called up for England at senior level, that just shows you what good progress the Club’s made. “It’s incredible really because I remember coming here about 10 years ago as a Sky pundit and the Club would have been bobbling around in the Championship, not really going anywhere. The Club’s certainly been going in the right direction, which is great as an ex-Leicester player. I’m really pleased about that. “They were the usual ups and downs of Leicester that seemed to follow the Club for many years, but you look at what’s happened in terms of winning the Premier League. Over the coming months, excitement will begin to simmer before the first-ever Nations League finals tournament gets underway, where England will face the Netherlands in the last-four. Cottee, who earned seven caps over his career, which included spells at West Ham United, Everton and Birmingham City, says the Nations League has injected new life into international football. “It’s a fantastic idea,” he added. “Whoever came up with it deserves a great deal of credit. I grew up in an era where we travelled all around Europe playing meaningless friendlies. “Then, since I’ve been retired, I was a season ticket holder at Wembley for 10 years and I had 10 years of going to Wembley watching friendlies against Albania or someone like that. The Nations League has transform England's fixture schedule and provided an exciting spectacle for supporters. “You could almost see that the players aren’t that interested in the friendlies, you get poor crowds and the atmosphere’s not there and they were becoming meaningless and pointless. “So to come up with a tournament and design a tournament that gives the competitiveness – we all enjoyed watching the Croatia and the Spain matches. “But after that, we did fantastically well to get the results to get us into the finals of the tournament. 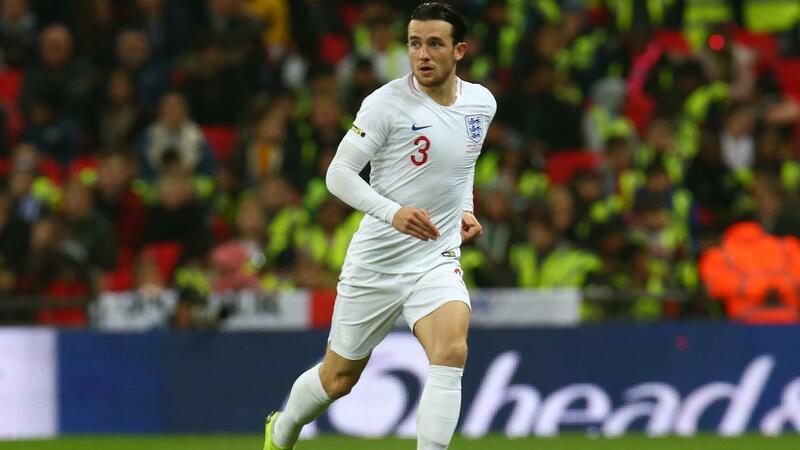 “With the Euros being just under two years away now, it’s a great opportunity in the summer for young kids like Ben Chilwell and others that are pushing forward. Anther instalment of our feature-length sit-down interview with Tony Cottee will be available on LCFC.com on Sunday!